When I select Off topic option in Vote to close it shows only few options. I know that this question belong to Android Stack Exchange. How can I select that option to tell the OP to ask there? How to add other option? Not the answer you're looking for? Browse other questions tagged support migration vote-to-close . How do I move a question to another Stack Exchange site? 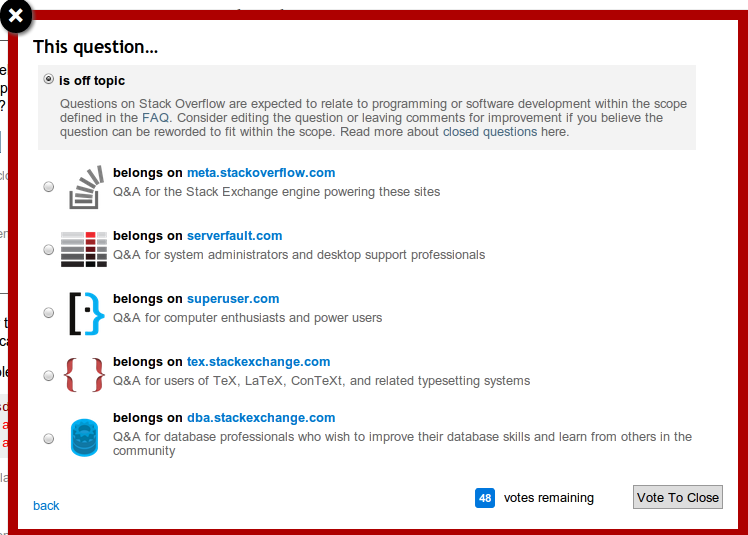 From the “Review Close Votes” workflow, How do I recommend that StackOverflow questions be migrated to Apple.SE? 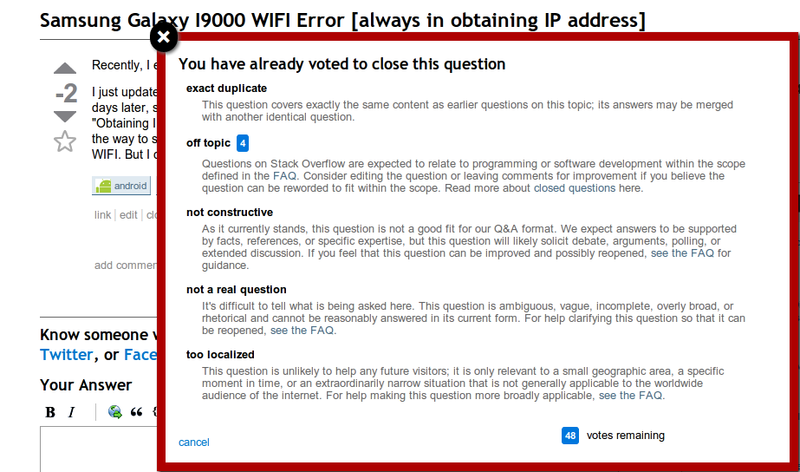 Why aren't all Stack Exchange sites available when flagging a question as off topic? What has precedence? Close or migrate? How do you flag a question as off topic if it belongs on unix SE?